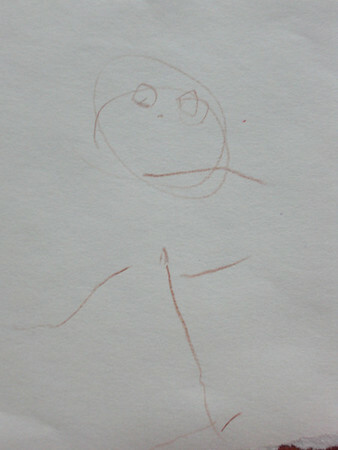 I showed Abigail how to draw a person, and this was her first attempt. Not bad! !